While I’m teaching, I find myself restating the same point to my students over and over again: Republicans are better at politics than Democrats. We saw it recently at the national level. (Welcome, Justice Brohim.) And it’s certainly true in Virginia, especially after last week’s redistricting debacle. A federal court ordered Virginia to redraw the lines of 11 state legislative districts, arguing that they were drawn to sort voters by race in violation of the U.S. Constitution. 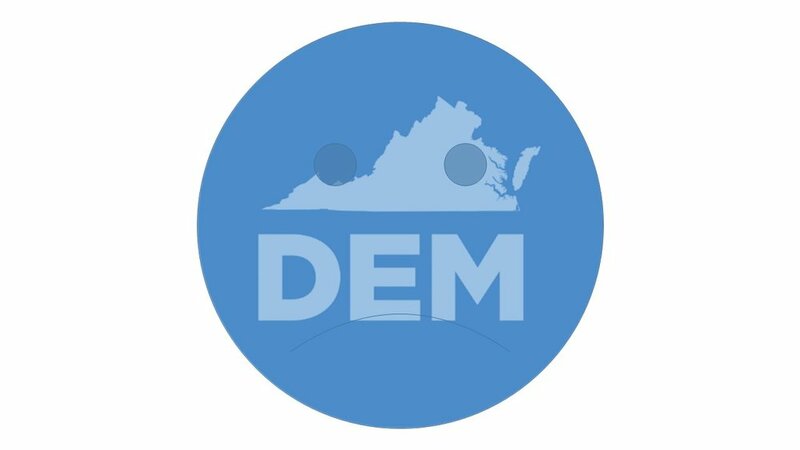 After the General Assembly called a special session to respond, Democrats offered a new map that seemed designed to help Democrats win more seats. (Republicans called it a “partisan power grab.”) The Republicans responded with their own map. This plan garnered some bipartisan report, including from the aptly named Portsmouth Democrat Steve Heretick, who criticized his own party for “corrupt gerrymandering.” The Governor vowed to veto the plan, so the Republicans cancelled the session. So while the Democrats get what they probably want anyway – the courts redraw the lines, probably in ways favorable to Democrats – the GOP gets to paint them as partisan hacks. We can learn two big lessons from this mess. It’s a Great Game, played out nationally and locally, in the courts and statehouses and media, over the basic rules of our electoral system. It includes district lines, but also a number of laws and rules that govern access the polls. And the Democrats have been getting their asses kicked in all these arenas for years. Which brings us to Delegate Heretick, and the second lesson we learned last week: again, Democrats are terrible at politics. Part of that is individual. Heretick may be a great person and even a great legislator. But in criticizing his own party, he comes off sounding at best naïve and, at worst, a dupe for the GOP. Oh my heavens! How shocking that your party was practicing... politics! (gasp) Heretick sounds like a Pollyanna in the middle of a red light district. But this isn’t entirely the Delegate’s fault; it doesn’t help that Democrats seemed to bungle the whole process of informing their own caucus. In his interview with Oliver, Heretick complained of a “mysterious” process, including caucus phone calls where he didn’t even know who was on the line. Worse still, the Democrats’ proposed map cut into Heretick’s district, likely reducing his possible margin of victory in the next election. If you want your people to take one for the team, you have to make sure they know why and what they’re getting in return. The one good thing the Democrats did was the thing for which they were most criticized: offering a blatantly favorable map at the start. You don’t begin negotiations by giving away everything; a “neutral” map would have meant they were already starting the process from the middle, with the GOP able to chip away at lines until they got something more favorable to them. Heretick’s complaints about his own party’s gerrymandering just gave political cover to the GOP, who of course were engaged in the same kind of gerrymandering on the other side. I should say here that it’s obviously not a good thing that this kind of political battle rages in our state legislature. The basic rules of our democracy should not be up for grabs in a power struggle among partisan forces. This is why good government groups like One Virginia 2021 have been so vocal in advocating for redistricting reform: the rules of the game are too important to be determined by the players, especially the ones who are winning. But Heretick was acting last week like the game had already been reset. The Democrats who run his caucus didn’t help him understand this very well. If the Democrats want to avoid yet more political losses, they need to get their act together - or, to put it more bluntly, they need to get their heads out of their you-know-whats. I’m not holding my breath. Jul 20 Downtown Development: Growing the Pie?